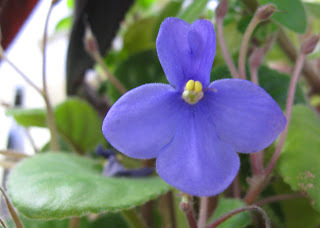 Here are a couple of shots of a species violet called S. rupicola. The second photo shows what I hope is a healthy seed pod forming on the plant. Seed pods usually take about 6 months ON the plant to mature, dry and turn a darker color. 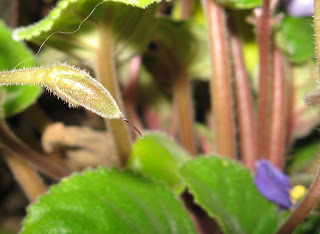 Gesneriad seeds, and this includes African violet seeds, are very tiny and look almost like specks of dust when ripe.